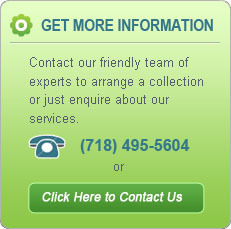 EnviroGreen has been servicing grease traps in New York City for years. From Queens to Brooklyn to Manhattan to Staten Island and the Bronx, even to Nassau County, we offer the utmost in quality kitchen grease-trap cleaning—and we do so with an eco-friendly approach. Our grease trap service is dependable and affordable. Our services are essential to commercial restaurants and kitchens. Cleaning and removing grease trap waste should be a high priority for any restaurant in the greater New York area for more reasons than one: The DEP requires all restaurants to have grease traps installed to prevent sewer system backups. Proper disposal of grease and cleaning of restaurant grease traps is required by the DEP by a licensed and insured company such as EnviroGreen Inc. And beyond the regulatory reasons to maintain your grease traps, proper periodic maintenance can help prevent foul odors and restore proper flow to the system. We are more than happy to assist you with your grease trap issues, so give EnviroGreen a call today. We recommend that you maintain your grease trap in order to prevent backups, clogs and smells. We provide scheduled appointments 24 hours a day for your convenience, as well as prompt response time for your emergency needs. Don't wait until you have a problem! Let Envirogreen maintain and service your grease traps now! Please contact us today to learn more about all we offer those in the Nassau County and New York City area. The number to call is 718-495-5604. We will gladly answer any questions or concerns you may have about our grease trap services. We vacuum grease, oil, and food particles from your grease trap. We run water to make sure your grease traps are fully functional and flowing properly. We add a biological enzyme solution that facilitates drainage and keeps grease trap smell to a minimum. 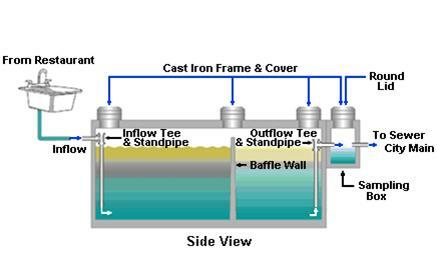 If needed, we can re-gasket you grease trap covers. And when all is said and done, we will properly dispose of your grease trap waste by following strict DEP and EPA regulations. It couldn't be simpler - If you have a grease trap, give us a call. We will give you a quote based on the size and type of your grease trap. We will service it regularly on a schedule determined by your local regulator. We provide you with printed, emailed .pdf, and online Manifests for your records. As part of a restaurant's sanitary sewer system, grease traps prevent heavy grease from entering and clogging the municipal collection system. These tanks require regular maintenance to function properly in order to prevent backups and fines. To schedule your grease trap cleaning service, call us today! Thank you for your interest in our GREASE TRAP CLEANING SERVICE. Please click to learn more about COOKING OIL DISPOSAL AND RECYCLING SERVICES.